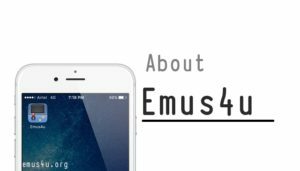 Emus4u is the latest app Installer for iOS devices available, which let you download your favorite apps and games on your iOS devices like iPhone iPad. The specialty of this app is that you can download the apps or games that are not available in the App Store. That means you can say it is a Cydia alternative. Recently many other app installers have launched but it is different from others because the installation process is very simple, your device need not be jailbroken, the contents are regularly updated. The best thing about Emus4u is that you can download all the apps for free. It has arrived with plenty of features that any iOS user would like to have it on their device. The best features are listed below. It does not require your device to be jailbroken. Great user interface and well responsive. All the apps are free. Your Apple warranty will not get void. Cache cleaner on built-in memory. Configuration Profile Installation Failed Error? Emus4u is containing different categories of apps, games and tweaked apps such as below. Emus4u is an app installer which let you download your favorite games and apps for free. As Apple has improved their latest iOS with several bug fixes to make it jailbreak free, that means there are no jailbreak tools available on the market for the latest iOS version, in that case, the jailbreak lovers are missing their favorite apps and games on their iOS device. Now being an iOS user you don’t need to be concerned whether if you are not getting Cydia access on your device. By installing Emus4u you can simply get almost every required app on your device. If you like to get more relevant updates on Emus4u to follow and get in touch on Facebook.